Chiropractic can help provide a natural, sound health care solution to parents who want to use the best of all health options available for them and their children. Acute otitis media (infection of the middle ear) is a common symptom in childhood. When children experience frequent ear infections parents become concerned about the possibility of permanent damage. Where do you turn as a parent when the traditional medical method of antibiotic treatment doesn’t work? Many parents believe that surgery (putting tubes in the ear) is the only solution for reoccurring ear infections. Many parents do not realize there is another solution to help stop recurring ear infections. Research shows that upper respiratory infections, including otitis media, may be caused by improper drainage of the deep neck lymphatic system. When a child with an ear infection is examined, increased fluid will be found behind the tympanic membrane (eardrum), and the inside of the ear will appear inflamed with the ear drum bulging. The popular medical treatment is the administration of oral antibiotics, usually amoxicillin. However, according to the Journal of American Medical Association, amoxicillin is not an effective treatment for otitis media. In fact, after use, occurrence of fluid in the participants’ cars was two to six times greater than before treatment. Instead of focusing on a treatment attempting to kill the bacteria or virus, the natural approach would be to restore normal drainage of the ears and neck lymphatics. This is when chiropractic can offer help. The chiropractic approach is to remove spinal misalignments causing nervous system dysfunction. Chiropractic helps by restoring normal function and eliminating or reducing tense neck musculature, which can block normal drainage of fluid from the ears. When the obstruction to the lymphatic system is removed and the extra fluid can drain, the inviting environment for bacteria and viruses is removed so the infection can heal naturally. 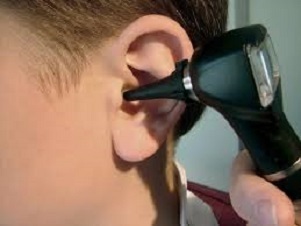 The recurrence of ear infections, therefore, is greatly reduced or nonexistent. Chiropractic can help provide a natural, sound health care solution to parents who want to use the best of all health options available for them and their children.